Right now with so many varieties of coffee in the branded coffee shops, you can hardly differentiate among the various types of coffees. Even for all the coffee dorks out there, it can be hard to figure out whether the coffee is actual or simply an artificial version of the drink. In the case of macchiato coffee itself, most people cannot differentiate the real deal because the taste is that of sugar syrup with the flavour of caramel. Since the taste can be brought forward by the artificial elements, you will not be able to understand whether the drink, which just came is an exclusive Italian espresso or an artificial drink. Why is it important to know about the macchiato coffee? If you are spending a considerable amount on a drink, you need to understand that you are being given the actual product and not a syruped up drink of the same flavour. The macchiato and especially the espresso macchiato came into existence because of the afternoon dwellers in the coffee shop who needed something between espresso and cappuccino. While the espresso is more of an evening drink, the cappuccino is for the morning routine. The best part about macchiato coffee is that it is stronger than the regular cappuccino, but it doesn’t hit as hard as the espresso. Where does this coffee get its name from? Macchiato is a word which is Italian as per origin, and when translated into English it means marked or stained. Macchiato coffee consists of two variations namely the espresso macchiato and the latte macchiato. The macchiato coffee making involves staining the combination of milk and espresso and getting the desired tone. The word marked or stained does not in anyway mean dyed or bleached or even diluted. It just means that within the combination of milk and espresso one element is primary and it consists of only a dash of the other element. Also known as the cafe macchiato in Italy, it is the original form of the macchiato drink. In this drink, it is the milk that stains the espresso. People like to have this drink because the strong heating espresso is a bit subdued by the little dash of milk. It is also for a fact that unlike the other espresso based drinks, it is not as strong, but it is efficient enough to retain the taste of espresso. This drink is prepared by having a shot of espresso, then pouring two teaspoons of steamed milk in the cup. If you want some foam, you can add it on top. The ideal cups to serve espresso macchiato is normal glass or demitasse cups. This kind of macchiato can be rendered as a bit more involved than the former one. This is because here the milk is the primary element, and it is added with a bit of espresso. It has more milk and less coffee and is, therefore, a drink with layers. People who do not like the coffee too strong can go for latte macchiato. This drink is prepared with a prewarmed glass of milk with the composition of half or one third milk, then a stain of coffee is added to it. One shot of espresso is poured into it gradually to create distinct marks in the milk. Since the entire process is slow, this drink looks like different colours put together in a cup. 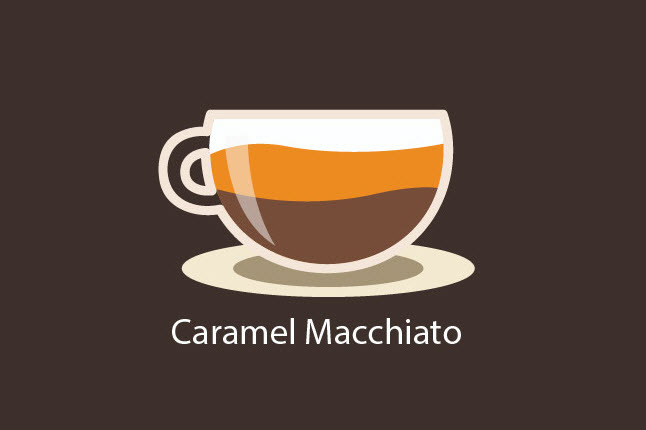 How to select which kind of macchiato coffee you want to order and why? If you are looking for something very rich and strong and more of an espresso flavor, and yet you do not want to have the frothy cappuccino then definitely you should go for an espresso macchiato. If you want a big cup of espresso macchiato then definitely remember to ask for macchiato coffee double. Again if you are not very sure about the espresso hard hitting you then definitely opt for a Cappuccino instead. If you are here with a kid are you are yourself not ready for an espresso drink, then definitely you have to try latte macchiato. It will have the light, and smooth flavour of espresso and the steamed milk will seem pleasurable. This kind of Dreams has extra syrups so if you want more of the sweetness just ask for it. If you still find that the coffee is a bit too strong for you, then you should offer a latte. What are the factors on which your Java order will vary? Let us assume that you are neither a lover of espresso nor a Cappuccino. If you are present at one of the branded coffee shops and you say that you want a macchiato, then you will be receiving an espresso macchiato. So make sure that you are mentioning the kind of macchiato that you want rather than letting them decide. In most of the shops you will not find the word macchiato, but if you ask them, they will bring you just the type of coffee you want. In a nutshell for all the coffee lovers macchiato coffee is a real taste changing the experience, and many of the coffee lovers have settled for macchiato coffee forever. Just make sure that you are wearing the right kind of coffee and you are sure to have an amazing coffee drinking experience. 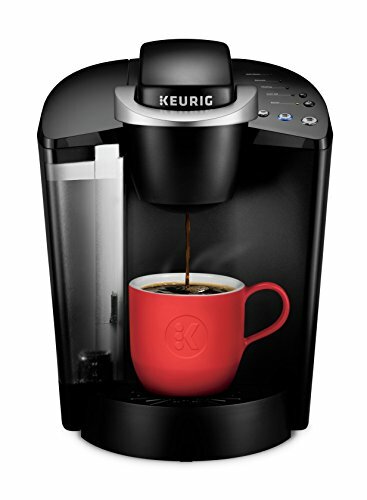 If you are an absolute coffee lover, then only you will be able to understand the difference between Keurig K50 and Keurig K55. Both of they might look absolutely identical, but the fact is that they are two different kinds of coffee brewers. 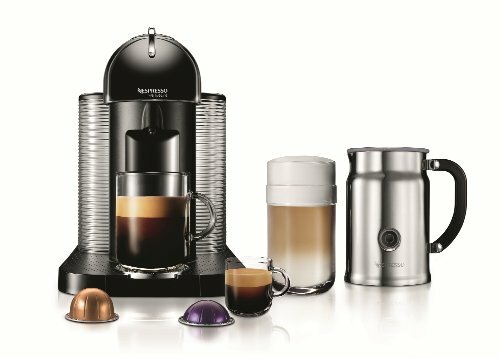 The K55 is also rendered as a K- classic coffee maker and is the most innovative one of the other models. On the other hand, the k50 is duplicated model of the former one and has come up with new features. Today we will be talking about both of these models of coffee brewers and how they are different from each other. Now let us talk about some of the aspects of both these devices in a detailed manner. The brewing speed has been given above is to mark the time taken when you are making the first cup of coffee in the morning. For the consequent cups, the brewing speed will be closer to 1 minute. For the K55, the speed is exactly 1 minute, but for the K50, the speed is around 1.5 minutes, which is very minutely different. Both of these devices have been designed so that they are very effective and work in a fast-paced manner. It is true that they do not have any LCD but operating them is easy because of its simple button system. The temperature for both the Brewing systems is about 89 degree Celsius. It is the quality of the filters where the difference can be spotted. The older one which is the k50 has very lucid reusable filters which are created by mesh, and you need to replace them soon. But in case of the k55, IT comprises active charcoal filters which contribute to better and smoother coffee. These charcoal filters are durable and a little bit expensive, but it is worth it. Both of these devices have auto switch off facilities, and even though they do not have any timer, It wouldn’t be a problem. Judging these two devices by taste is going to be really hard. If you are not an avid coffee lover, then you would not find the difference at first which is the flavour is more or less the same, but for all the coffee lovers out there the mild difference in taste can be identified. In both of these machines, you can insert K cups or simple non branded cups. The device k55 Bruce a little bit stronger coffee than k50 but the difference is very mild to be noticed. 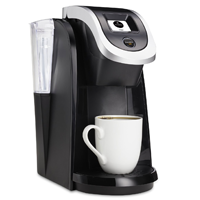 You can check out all our recommended Keurig coffee makers here. The user guide for the k55 is applicable for both the devices because the cleaning and maintenance part is identical in both. All you have to do is to remove that drip tray and the reservoir on a regular basis to clean them and then you can run the cleaning Chemicals through it for a few times before washing with water. Once you do that with both the devices it will be sparkly clean. There are descaling solutions to clean the coffee making machines easily, and if you want to replace any part of it, you can definitely go for the online forums. It has been seen that the k50 device is a little more fragile than the k- 55. If you talk about the aesthetics of the device, then you should know that the k50 device is a bit heavier than the other and both of them can serve as goods tabletop coffee making machines. They are medium sized, and most of their parts are made up of plastic which makes them non bulky. The colours are mostly Jet black or red, and you can choose the device colour according to the decor of your kitchen. On inspecting intently, it has been found that either of these devices is not made up of very study materials and that is the reason why after a few years they have a chance of breaking down. Even when a blind test was done to give the verdict over which coffee tastes better among the two devices only a few people could determine the difference. If you want something that looks elegant and is durable, you should definitely go for the k55. 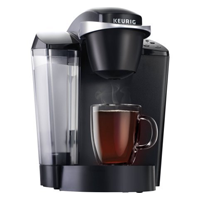 But if you want to check out the new version and see what is extra, then you can opt for the Keurig K50. If you would like to go for buying a coffee machine for your personal use then definitely the k55 is the best option as because it is sturdy. K50, on the other hand, comes up as a new version but with no considerable change in the features as well as a high price. Now definitely it is up to you before buying any device, and if you are buying offline, you can even go for demo checks before buying. 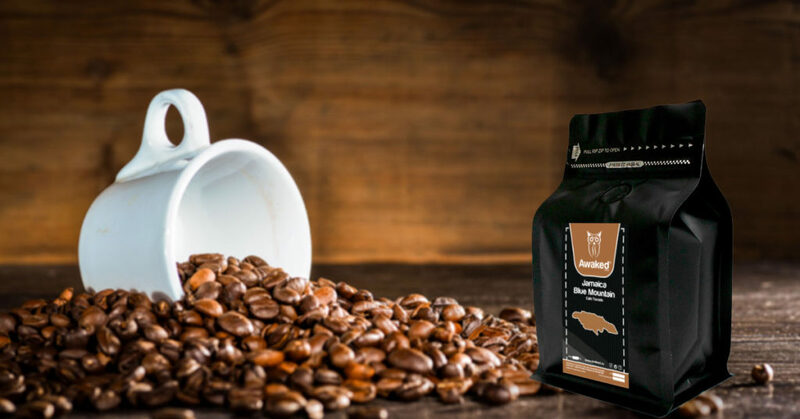 As a coffee lover, you must have tasted the different amazing flavors of coffee, but one flavor stands out, and that is the Jamaican Blue Mountain coffee. For the people who have taken this drink at least for once have mentioned that for the coffee lovers it is one of a kind experience. Blue Mountain coffee from Jamaica is a very highly rated Beans of the coffee world. It has a smoky, floral and nutty taste, which will make you understand why this coffee is so much sought after. But there is a downside to every highly regarded product, and many of the sellers are not giving the actual bag of Jamaican coffee to the consumers. Today we will be having in-depth research and know everything there is to know about the Blue Mountain coffee from Jamaica and how to buy it in its original flavor. Why Jamaican Blue Mountain Coffee is so expensive? Every single Bean is infected with ample care so that there are no adulterations. Hand inspecting each one takes enormous effort and therefore the coffee’s pricey. Unlike the other coffee beans, it takes twice as long time to mature and be strong enough to be brewed. If you talk about the production unit, Jamaica producers just 14 million lbs of coffee per year, in comparison to Ethiopia which produces 800 million lbs. RSW estates produce only 60000 lbs per year, which means that the demand is more as compared to the supply. When the supply-demand balance is not established, then the coffee is meant to be expensive. 80% of the total Jamaican blue mountains coffee is shipped to Japan, and the rest of the world gets the remaining 20%. No wonder, the prices of this coffee is absolutely high. Great coffee production takes time as the need to ensure the quality while shifting the focus from the quantity. The more time it takes, the more is the price. Hundred percent Sun drying is done soothe so there is very low moisture content in the Bean. While artificial drying is quick, yet it leaves a considerable amount of moisture which can ruin the flavor. Because it takes immense efforts, therefore, it leads to the high price of the coffee. Where does Jamaican Blue Mountain Coffee get its name from? Jamaica blue mountains are one of the elongated ranges on the island. It is a beautiful spot which is warm and humid and is absolutely efficient for cultivating coffee beans. Now if coffee is grown in such a fancy place, then it would be unjustified not to give it a fancy name as well. Origin of coffee in Jamaica can be traced back to 1728 when the Jamaica governor planted the first coffee crops. The coffee that we find today are the seedlings of the first eight plants, which became the major industry of the island. The Blue Mountain term comes from the fact that these coffee seeds are planted at very high altitude, at about five and a half thousand feet. What does the Blue Mountain coffee taste like? It comprises an Aroma of sweet florals and herbs with a pinch of nutty taste. The uniqueness in the taste of coffee is what makes this crop one of the highest pricing even though Jamaica just grows 0.1 % of the total world’s coffee. Why is this coffee flavor found only in Jamaica? This Island has a very tropical climate which gifts coffee beans the sunshine and water that it needs to bloom. Such a Perfect Combination isn’t found in many of the places in the world, and therefore Blue Mountain is an absolute delicacy. But it is also a very ironical fact that the soil in Jamaica at the Blue Mountain altitude is not of good quality, but experts say that it is one of the adversities that somehow improve the flavor of the coffee. How will you be assured about the brand? The Identity of the Blue Mountain coffee has been preserved by Jamaica with the help of a specific certification mark that has been brought forward by the coffee industry Board of Jamaica. Be sure that if it doesn’t consist of the seal, then it is not the real coffee. It is easy to recognize the coffee beans even though there is no protection in case you are looking for specific blends. If you want to lower the price, then you instead of getting the pure Blue Mountain beans go for the blends with this coffee along with other Jamaican coffee types. What are the best coffee estates that produces the best Blue Mountain coffee beans in the world? Which state was bought in the year 2013 for reviving the company and since then it has been able to produce some of the best Blue Mountain coffee beans in the world. It is one of the oldest plantations till date and it is placed at 5000 feet on the eastern slope of Saint Catherine’s peak. It is still in operation and has been rendered as the Rolls-Royce of coffee. This is a coffee plantation that has been grown at an altitude of 3300 feet and it gives an incredible coffee flavor. Each of the coffee beans in this place is specifically hand-picked parchment fermented and pulpit to give it a very smooth taste and a great aftertaste. How is the Blue Mountain coffee industry doing today? It might sound surprising but a few years ago in the year 2012, the Jamaican coffee industry was actually facing hard times. Since 80% of the Jamaican coffee production is taken up by Japan, therefore the industry somehow depends primarily on Japan. But back in the year 2012, there was a decline in the Japanese market because the crops were Beetle infested. In the year 2016 deep market flourished again because of the quality and quantity of the beans that the farmers were able to produce. Needless to say coffee is one of the major industries for Jamaica and when you visit there, you will find numerous coffee holidays which will give you a chance to enjoy the Serbian beauty of Jamaica and enjoy the coffee produced by them. How can you spot a fake Blue Mountain coffee? Because Blue Mountain coffee is very expensive and rare, therefore many coffee sellers sell normal coffee in the name of Jamaican blue mountain coffee to the unwitting tourists in the heart of Jamaica, and in the market, the duplicates are even more. The essence of Jamaican Blue Mountain coffee is that it is grown roasted and packaged on the same Island where it is originated. Therefore, the coffee board of Jamaica has given a specific symbol on the packaging so that it can be differentiated from the fake ones. Therefore it is always a good practice to check the packaging for the symbol before spending your bucks. 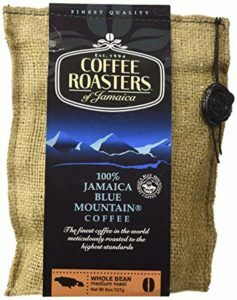 The coffee experts say that whenever you are buying a blend of Jamaican Blue Mountain coffee, there is no Thumb Rule of a minimum amount of Blue Mountain rare coffee that has to be included therefore most of the blends have as low as 10% of it while the rest of the coffee contains other flavors. If you do have to go for the best coffee flavor, buy nothing but the pure pack. Make sure that you are buying from a real coffee expert because all the artisan roasters and grinders are actually very passionate about what they sell and recognition matters to them rather than money. Since you are paying so much for such a less amount of coffee, you have all the rights to see the documentation regarding the originality of it. Anyone who is selling real Blue Mountain coffee will be proud to show you the paperwork trail of how the coffee has been created. How to brew the Blue Mountain coffee in the best manner? If you are buying such an expensive item, then you have to make sure that you are doing justice to it. Perfectly brewing the Blue Mountain coffee is essential because otherwise, you would not get the correct flavor. Keep your coffee fresh by storing it in a vacuum container. Make sure that you do not put it in the fridge. Let the tight container be its residence until you are ready to use it. Grind it as well as you can and immediately before using it, preferably at home. This helps in keeping the flavor intact. Use the technique of immersion to bring out its aroma. The French Press or percolator will do all that is needed to give justice to the Bean. Make use of filtered water that has been boiled and cooled for 30 to 45 seconds before immersing the grounds. Your farmhouse is the place where you go to relax for a while. Away from all the problems of your lives, a farmhouse seems to be the only place of solace that could provide some peace of mind to the people. But if you farmhouse isn’t equipped with the proper furniture then the whole essence of it is not at all complete. What do you think would complete the entire look of a farmhouse? Well, of course, there are amazing coffee tables that you can buy. There are so many different types of rustic coffee tables that tend to match the look of the farmhouse. These coffee tables are an absolute necessity as well. Not only do they add to the ambiance and atmosphere of the place but they are also very important as people need to put their drinks in certain places. So, there is no doubt about the fact that if you want to increase the appeal of your farmhouse, then, it would be a great idea to invest in the farmhouse coffee tables. But when there are so many options in the market, one can get confused on what to choose. So, this is why this buying guide will help you out. Buying a farmhouse coffee table isn’t really a big deal if you know exactly what you want. 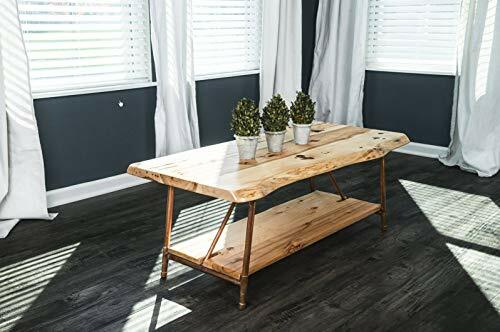 There are many important factors that you might have to consider before you go ahead and buy your farmhouse coffee table. So, as promised, here are some tips to help you out. Before you even begin to think of buying any kind of furniture, you need to measure your place, right? Well, the same is the case with a coffee table. Just because it is a farmhouse doesn’t mean it won’t have stuff. So, you need to make sure that you know the space that you will have left when you place the coffee table in there. Measuring the place is a good idea, to begin with. No one would like to hand out at your place if you keep it all stacked up and there is no place to move around. So, we suggest that you decide the area first. Otherwise, it is just a waste of money and you will end up having a bigger coffee table than you need. When it comes to a coffee table for the farmhouse, you really need to know which ones to buy. The type and the design of the coffee table really matters a lot. Plus, to make things tougher, there are various options these days on the market. It can be tough to decide what you want. So, our suggestion is to go with what your guts tell you. Based on the interiors and the design of the room, we are pretty sure that you will find the one that perfectly suits the cause. After all, it is your farmhouse and your coffee table, right? So, the decision should be yours in the first place. Most people often go for the rustic look but there are some other options that are available as well. Have a look at each and every single option before you go ahead and make a choice. Whenever you are buying a particular coffee table for your farmhouse, you need to make sure that you know exactly what you would be using it for. Most people often have a coffee table just for the appearance and they don’t really make much use of it. However, when it comes to getting a coffee that you would actually use most of the time, then choosing a table that is long-lasting will be a great idea. Not only do you have to know the function of the table but you will also have to decide on how you are going to be using it. This way if you want to use it more, you can select a sturdy and more durable option. Most of the time it so happens that people end up choosing coffee tables that they won’t really use much and then regret it. Make sure that it doesn’t happen to you in the first place. Another one of the most important things that you should always keep in mind when you are buying a particular coffee table is the budget that you have. Make sure that you don’t exceed the budget otherwise you will just run out of money. There are so many options available in the markets that are both cheap and expensive. People often tend to choose the cheaper or the mid-range options that they have so that they can save some money. But then again, you need to make sure that you choose according to the quality. Choosing the perfect farmhouse coffee table will be much easier if you have your budget all set. But make sure that you stick to it and don’t overspend. So, there you have it, people. Here are some of the important and helpful tips that we have for you. With the help of these tips, you will definitely be able to choose the best coffee table for your farmhouse. Well, now that you are all familiar with buying the best farmhouse coffee table it is now time to move on to the more important bits. When it comes to choosing the perfect coffee table for the farmhouse, you have got hundreds of options. So, the choice can be a bit difficult for some people. But how about we make this choice easier for you? Wouldn’t you like it? Well, here we are with some of the best choices of coffee tables for your farmhouse. Make sure that you choose the best of the options as it will help you for sure. When it comes to rustic and amazing looking coffee tables, this is the one that we have on our list as Emerald Home is one of the best companies for coffee tables. If you are just starting out with the farmhouse decorations then this will be a great addition to the place for sure. The simple and yet elegant design is something that catches the eye. The wooden table top has got some alternating planks. Also, you will find a supportive shelf inside which is great for keeping some knick-knacks. You also have an X-shaped design for the legs and what’s even better is that they are made of metal. So, you can be pretty sure that these would be amazing. What we love about the table is that it is perfectly shaped and cozy as well. Another one of the best rustic designs that we have in here would have to be the Ashley Furniture Vennilux table. With a much more dramatic and strong design, this particular coffee table is an attraction for many people. 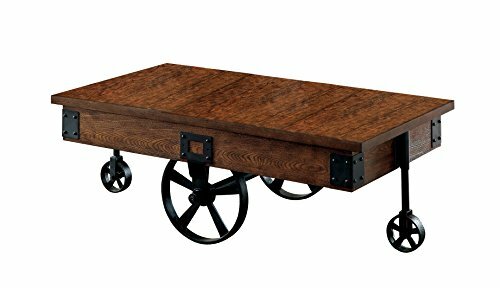 What works for this piece is that it has got some metal wheels underneath which makes it pretty easy to move around. You should definitely consider buying this rectangular table as it is an awesome one. What else is interesting here is that it has got some shelves for storage as well. You will notice that the width of the table is about 50 inches which makes it a spacious one on the list. This large coffee table would definitely be a great addition to your home. The wood and metal have got neutral colors and hence go with anything. If you are a fan of DIY, then this coffee table will be an ideal option for you. Do you know why? Well, it is because the table doesn’t necessarily come finished. So, you will get to paint and assemble it from scratch and make it your own project. It is completely up to you whether you want to put some stains on the table top or just want to paint the table legs. So, you can get all creative that you want. You could even paint all of it to a specific color that would match the decorations of your farmhouse. Doesn’t that seem like a wonderful option, people? You will also get a storage shelf where you can easily store some stuff and there is a designer double-x shape in the legs which makes it look more and more attractive to the buyers. All in all, we can say that this rectangular piece would look good in your farmhouse. There are many people who do not like the square or the rectangular shaped tables for their farmhouses. If you are one of them then this coffee table from Household Essentials will be the best solution for you. There is literally nothing that is not impressive about the table. From the amazing round shape to the size of the table, everything is just perfection. You will easily be able to place it anywhere as it doesn’t take up much space. Also, the gray finish on the top is just sheer beauty. You will also be further impressed by seeing the X-Shaped metal legs which are a wonderful contrast to the top. This coffee table is basically an elegant and rustic addition to any household. What we absolutely adore about the Niangua Furniture coffee table is that it has a construction of copper and wood which is the perfect combo for an elegant look for sure. Since it is handmade, you can absolutely put your faith on the construction as it is an antique piece. Craved by many, this coffee table would be an amazing addition to your living room for sure. The top of the table is made with solid wood of hickory that is wonderful to look at. Also, the copper legs that are pipe-shaped offer proper support to the table top. You will also be impressed by the hickory shelf that nests in between looking absolutely gorgeous. A perfect addition to the house for sure. For those who want a bit of extra storage in their coffee tables, this one is a perfect option for sure. 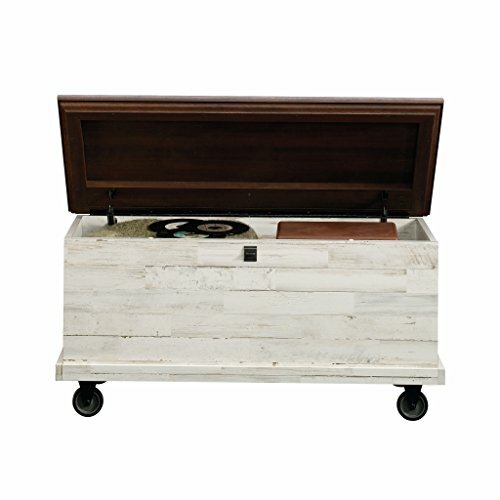 The trunk of the table comes with a lid that you can lift off to reveal a massive storage space inside for storing several things. The white plank design and look of the trunk is basically the best thing about it. There are many different color options available so you don’t have to worry about that. Apart from that, you will see that the brown wood used at the top is absolutely dark and gorgeous to look at. The surface is pretty smooth so you can dust it pretty easily. All in all, we can say that there is nothing that we can find that matched the excellence of this coffee table. Not to mention that it comes with wheels for easy movement. The table can be a bit large for some people but the benefits make up for the heaviness. Those who are looking for a heavy-weight coffee table here is an option for them. This amazing coffee table has got the perfect metal pattern of square weaves that makes it look pretty. The super-cool design and the bold making of the table are what attract the buyers in the first place. With a wood veneer tabletop, this particular coffee table will certainly be a great addition to your farmhouse. There are casters present on the table which are pretty smooth which makes it easy to move around. We recommend this table to most of the buyers because not only is it round but it is also very comfortable as well and doesn’t weigh too much. You will definitely like it. 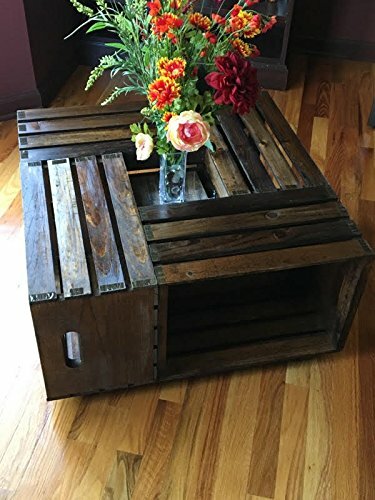 If you want to have the true rustic essence then you need to have a coffee table that resembles a crate. Well, this is one option that you can try out and you will love it for sure. This particular table has got the inspiration for the design from different wine bottle boxes and crates. Created with the best of MDF wood, this particular table is a perfect fit for the farmhouses that want the best rustic look. You might notice that the crates are opened from the sides and that can be used for storing some small things. Apart from that, you will also have a tray on the table top as well where you can easily store the drinks. This is certainly a very good choice for farmhouses. 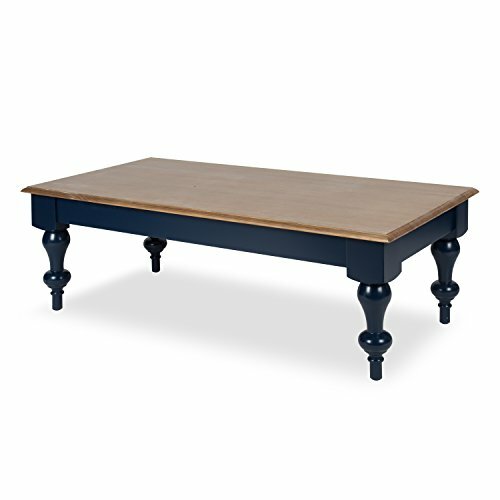 There is no doubt that Navy Blue is one of the best colors for coffee tables. You can easily use this color or contrasting as well as neutral looks. So, this is the reason why this particular rustic coffee table is one of the best choices for the people. The amazing distressed essence of the table is what makes it a popular choice for the people. With an amazing design and beautiful color, this table will surely make your farmhouse ambiance a better one. So, what are you waiting for people? Go ahead and order this coffee table right now. This one is the best option for those who like to add a touch of gray in the house. 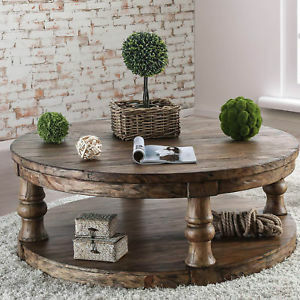 This coffee table that we have for you in here is best known for the rustic look and appeal that it has. What is even better is that the table top is a bit distressed. This 17-inch square coffee table would certainly lighten up the ambiance of the farmhouse that you have. Not to mention that you get an additional shelf along with that so that you can store your essentials. This is one of the best things that we absolutely love about the coffee table. 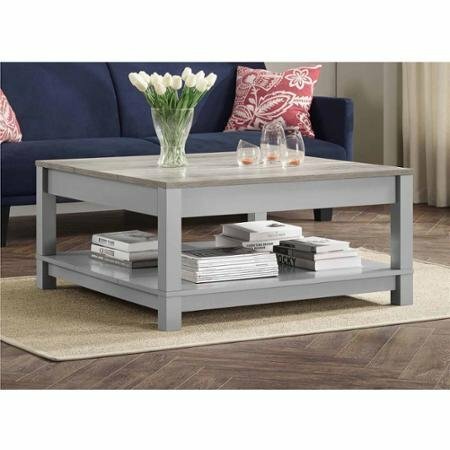 Since the color of the table is neutral gray, you can be pretty sure that it will properly mix with any interior décor. 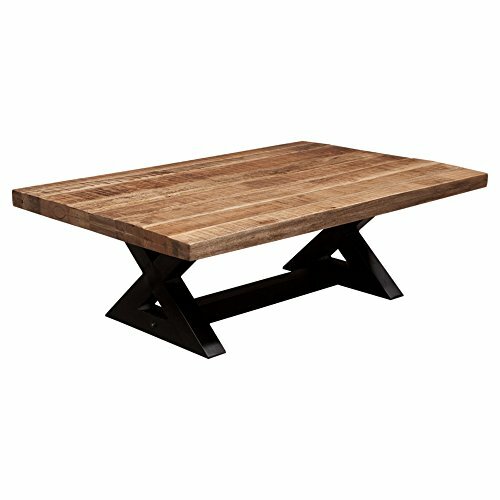 Question: Which type of coffee table should be perfect for a farmhouse? 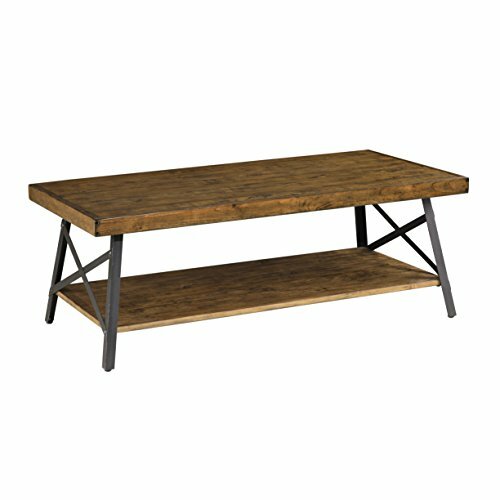 Question: Where can I find the cheapest coffee tables for my farmhouse? Question: Does color matter when selecting a farmhouse coffee table? Answer: Yes, it does and you need to select the color that suits your décor. When it comes to buying coffee tables for farmhouses, you need to know everything about it. We hope that this buying guide for farmhouse coffee tables was helpful to you. Your living room might be all set for a housewarming party but without a proper coffee table, the whole image will not be complete. If you are interested in home décor, you will certainly agree that coffee tables are a necessity for the living rooms and hence you need to get one if you haven’t already done that. Are you planning on buying a coffee table set anytime soon? Well, in that case, you might need all the help that you can get. This particular buying guide that we have for you will help you choose the best coffee tables for your living room. We get it that when there are so many options in the market, one might get a little bit confused about the product. However, when you have this buying guide to help you out, you wouldn’t have to worry about anything. Well, your living room sofa might feel a little bit lonely if you don’t put a gorgeous looking small coffee table on the side of it. Where else do you think people are going to put up their tired feet or just put their drinks down? Also, you might have some beautiful items that you want to display and a coffee table seems to be the perfect spot for keeping these. You can agree with us that coffee tables are a basic necessity and every single living room needs it. So, why don’t you go ahead and get one for yourself? Well, we know just the best coffee tables that you would like. But before that, there are certain things that you need to take care of when you are choosing a coffee table for your apartment. Here we have some tips that will help you out. Whenever you are out buying a coffee table, the first thing that needs to be on your mind is how are you going to use the table. There is no doubt about the fact that a coffee table is something that is casually placed before a sofa in the living room. It is where most people keep their coffees and other drinks and occasionally rest their feet. So, you don’t need to get a very large coffee table if that is the only function it is going to have. However, if you do buy a larger coffee table set then make sure that it has some other function as well. Otherwise, it is just a waste of money which we are pretty sure you are not so keen on. There are many different designs, styles, and patterns of coffee tables that you will find on the market. What you need to do here is choose the one that will be complimenting the apartment that you have. Ultimately, you are the one who is going to be using the coffee table at your apartment. So, deciding the style that you want is your responsibility. Most people just end up choosing a very tacky design and then are miserable with the choices that they make. You need to make sure that the style and the design are according to your liking. Go with something that really puts an elegant touch to your home. That way, we can guarantee that you will be satisfied with the choices that you make. One of the most popular options that have always been there for the coffee table shapes are the rectangular coffee tables. However, you need to know that these are not the only options that you can choose for. Nowadays, there is not an end to the list of beautifully-shaped coffee tables. There are ovals, squares, octagonal and so much more to choose from. If you take a look at each and every single option that you have, we are pretty sure that you will find the one that you like immediately. Make sure that you choose the shape that fits the living room. Choosing a larger size would mean trouble which brings us to the next point. You need to make sure that you are always measuring the space that you have. The sofa and the other chair would take up almost the entire place in the living room. So, you need to measure that space that is left and then make a choice of the coffee table. After all, choosing a bigger size would mean that it won’t fit in the space and then you might have to re-arrange everything in order to create space for the coffee table. Even then, the setup would look very stacked and full. So, make sure that you get that measuring tape from the garage and then measure your living room first before you go out and buy your own coffee table. Here is another tip for you guys. If you are not ready to spend heaps of money on just a coffee table then the budget of the coffee table is something that you should definitely take into consideration. There are many cheap as well as expensive options available on the market. If you are lucky then you might find a coffee table that just fits that price range that you have. Also, you need to make sure that you choose the coffee table depending on the work that it will do. If you are planning to make use of the coffee table a lot so that it gets weary, we would suggest that going for the cheaper options is better as you might have to change it again. So, here are some of the things that you should consider when you are buying a coffee table set for your apartment. 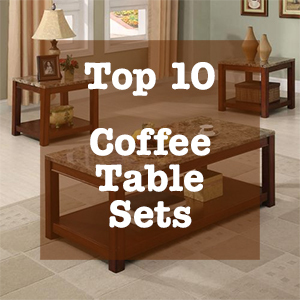 Now that you know all about buying the coffee table sets, how about we look at some of the best options that will be available to you. Make your choice from these options as they are simply the best ones. 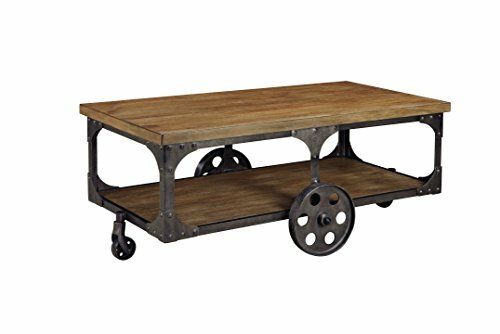 This particular coffee table is a very popular choice for the people because of its amazing metal design that will go great with the stylish look of the living room. Apart from that, the amazing durability and affordability of the coffee table is something that we absolutely love. You wouldn’t even have to worry about the quality as this amazing coffee table has got a solid top of wood that makes it a perfect fit for homes. Apart from that, we love the distressed wood design that adds an extra touch of beauty to the thing. The coffee table is a perfect balance of elegance and beauty on its own. For an amazing rustic look in the house, you should definitely consider buying this one as it is certainly the best. The combination of metal and wood is just the perfect touch that anyone would want in their houses. Also, it comes at a very healthy price and can be afforded by anyone in particular. This is another one that we are going to add on our list for the best coffee tables as it is handmade, gorgeous to look at and packs quite an awesome deal for those who need it. What we absolutely adore about the Niangua Furniture coffee table is that it has a construction of copper and wood which is the perfect combo for an elegant look for sure. Since it is handmade, you can absolutely put your faith on the construction as it is an antique piece. Craved by many, this coffee table would be an amazing addition to your living room for sure. The top of the table is made with solid wood of hickory that is wonderful to look at. Also, the copper legs that are pipe-shaped offer proper support to the table top. You will also be impressed by the hickory shelf that nests in between looking absolutely gorgeous. Although the price is a tad too much, the amazing style and design more than make-up for it. Traditional, simple as well as elegant; these three words are perfect for describing the Simpli Home coffee table that is the next product on our list. For those who have great taste in living room coffee tables, this is certainly one of the best choices to have. There are 6 different colors that are available for the table so you wouldn’t really have to worry about that. Also, the making of the coffee table is just with pure solid pine. Forget about all the worries of scratches as it is completely durable as well. What we love about the table is that it is perfectly neutral and fits with every single environment. Hence, it is a very popular choice among the people as well. Apart from that, we are pretty sure that you wouldn’t find a price that is as good as this one. So, what are you waiting for people? Grab the best deals on this Simpli coffee table as it is something that you wouldn’t want to miss. When you want a budget-friendly option for yourself, then we know exactly what you need. 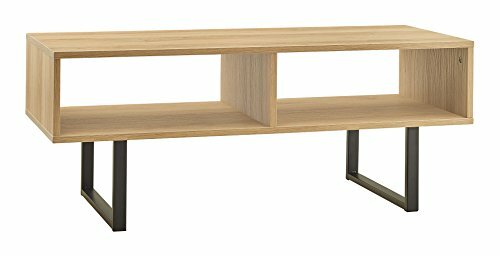 the Sauder Modern Coffee table is perfectly stylish and is affordable as well. 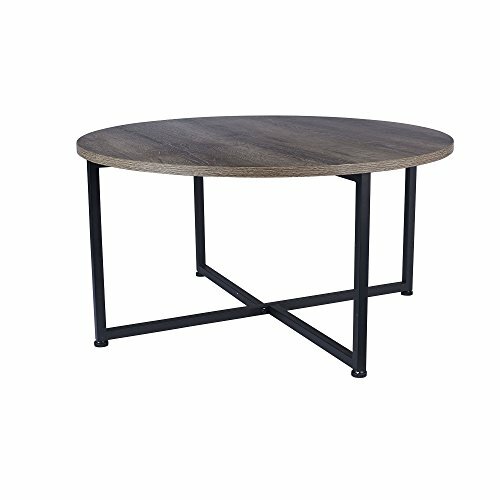 One of the trendiest pieces that we have for you in here, this coffee table will be cheaper than any pair of jeans that you buy, we promise you. The perfectly round shaped amazing table has got a finish of faux marble which makes it elegant looking. An added touch of beauty comes along with the wooden legs that the table has. What a perfect combination, one might think. Well, they would be absolutely right to think that. Even the quality of the table isn’t compromised based on what we here. With such a low price and a style that nothing can match, this marble-top table is something that you should definitely have in your house. The size is not large so it won’t take up much space as well. Here we have a coffee table that will last for many years if you buy it. 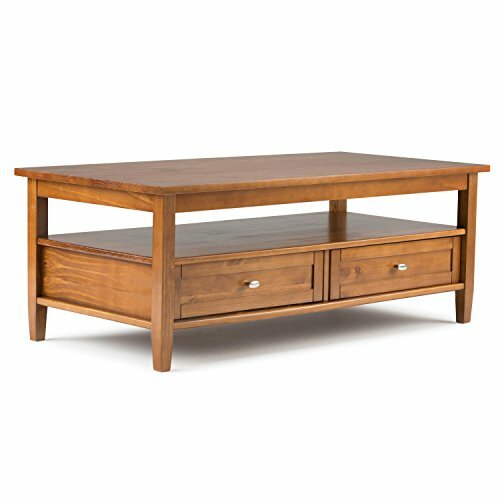 The Ashley Furniture Wesling table is for those who want a piece of coffee table set that doesn’t really fade that easily. This one is certainly a great choice for the homes that are not willing to invest in a coffee table again and again. 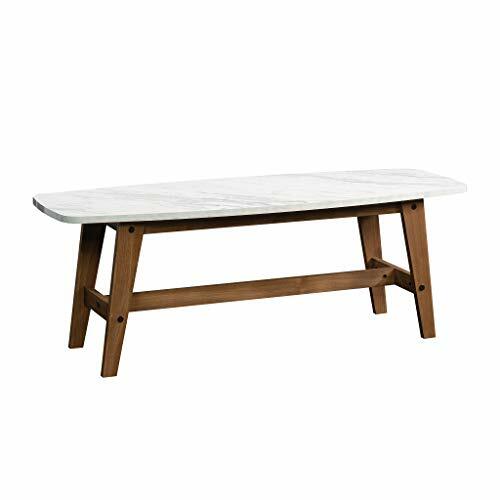 With table is crafted with some amazing quality solid wood that makes it durable. Also, the x-shaped legs that it has, provide perfect support and a stylish look for the table as well. You will certainly be impressed by the rustic industrial look that it has got. The table is comfy but wide one that other that we have in here. Apart from that, you will also see that the construction is pretty good and the quality of the table is impeccable. So, why not invest in something like that? We are pretty sure that it will look amazing in your drawing room, provided you have a big space. Another Ashley Furniture product is already here and we know why. Sometimes, it might seem like having just one coffee table is simply not enough for the people. Well, this is where this product comes to action. The Murphy Set from Ashley furniture will make room for additional drinks, your popcorn, coffee and a lot of other things at the same time. Not to mention that this spacious table is also very stylish and elegant to look at. There are three different pieces that are matching so you wouldn’t really have to find some other matching sets as well. Apart from that, the vintage look on the set is something that everyone wants to have. If the bronze brackets and the chic style don’t impress you then we don’t know what else will. This coffee table is the perfect addition to your living room if you are trying to make any statement. Chooser the Murphy Set that is made of engineered wood and veneer and you will be very happy with it for sure. There is one small problem with the set and it is the chemical smell that comes with it. But you need to keep it in the air for some time to make that smell go away. When you need a coffee table that has got some great storage space, then you need to make sure that you have got the coffee table from Augustina. This coffee table is something that will stack up all the things that you have and still not take much space in the living room of yours. Doesn’t that sound like an absolutely perfect thing to have, people? What we love about it is that it has got a particular lift-top type mechanism that will easily hide all the clutter from the view of the guest. Now we are pretty sure that you are willing to try it out. 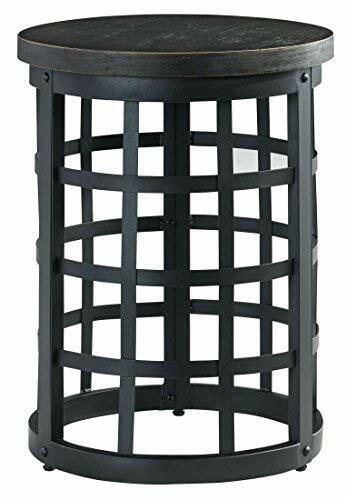 There are multiple compartments present that are easily accessible and you will see that it is quite sturdy when compared to the others on the list. The reason behind the sturdiness is the solid wood construction. Not only does it provide a sturdy surface but it also provides an elegant look to the table as well. 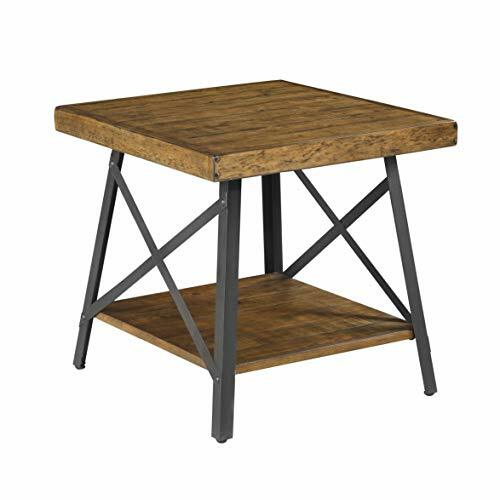 Choose this table if you are looking for something small, comfortable, and yet has an ample space for storage. One thing that you must know by now is that not all of the coffee table will be rectangular in shape as there are some other choices as well. How about a round one, in fact? Well, to be honest, the Sauder table is something that you should definitely have if you are looking for a change of shape in your coffee table. The super-sleek look and stylish shape of the table are the best things about the coffee table. The only word that can be used to describe the roundtable from Sauder International is glamorous because that is exactly what this is. You will find a tempered glass on the top of the table that has got a golden-colored trim for more beauty. With the looks and feel of a 5-star coffee table, this one will light up the living room like anything. 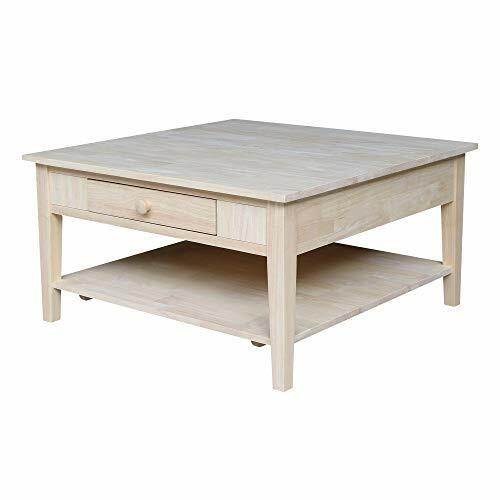 Only 31 pounds heavy and 36 inches in width, this table is the ideal one for homes that have got smaller spaces in the living rooms. For a perfectly formal and stylish setting in your apartment, go for this one right here and you will not regret it. This is one of the main reasons why people are so crazy about the product. 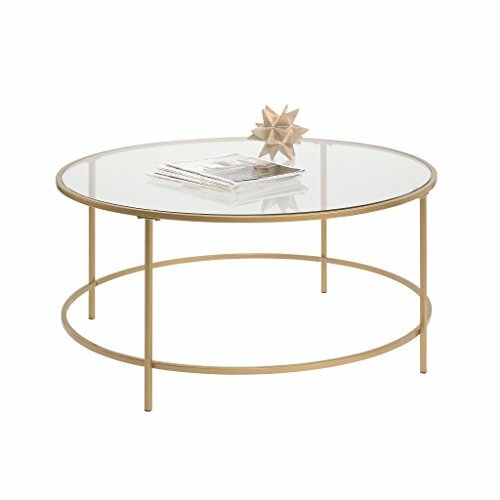 Those who want something different and unique for their apartment and that too at an affordable rate, the triangular coffee table is something that they can easily look for. 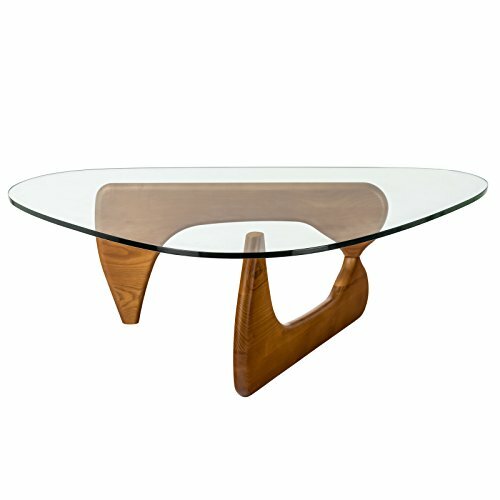 Poly and Bark, has got some amazing products and this triangular table is a must for your living room. You will fall in love with the triangular top and the stylish look of the table. 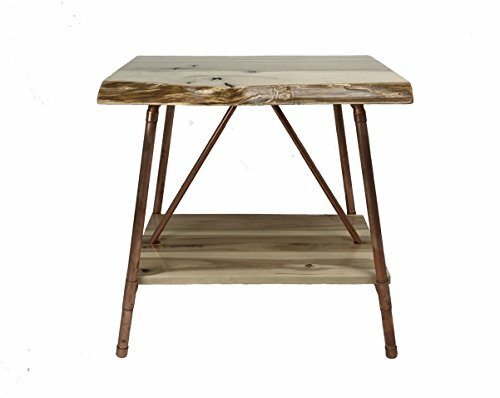 With solid legs that are made of wood, the table is a perfect addition to your house. The table sports a mid-century vintage look which is an absolute deal-maker for some people. The minimalistic design on the table is something that will add a light touch to the living room as well. Apart from that the 50-inch width of the table makes it a spacious one for a larger apartment. Choose this one as it is a popular one on our list of coffee tables. You will definitely not regret buying it. The ClosetMaid table is a perfect fit for both college-going students as well as apartment owners. Perfectly affordable and stylish, this one is a major player in the market as everyone is trying to get their hands on this amazingness. There is the amazing metal that is powder-coated and laminated plus you will get some amazing space for storing books and CDs that you like. The table is not even that wide as it is only 39 inches in width. Not only will you have space to keep your drinks on top but it will also not take up much space in your living room. Now, what more could you possibly want from a coffee table, right? The neutral look of the piece is something that everyone loves and we are pretty sure that you will love it as well. Question: How big of a set would I need? Answer: It totally depends on the size of the place where you will be keeping your table. The living room space is taken up by the furniture and there is not much space left for the coffee table. So, measuring the area that is left is a necessity if you want to buy a coffee table of the perfect size. Answer: Well, the living room decorations and the apartment style decide that color of the coffee table. Solid wood coffee tables are often a very good choice for a neutral look. Question: Which type of finish is better for living room coffee tables? Answer: There are many different types for you to choose from. Having a coffee table that has a glossy finish would be great for a contemporary look. However, rustic looking tables are also great for a vintage look. In the end, we would like to say that choosing the best coffee table is an easy task, provided if you have the right help. 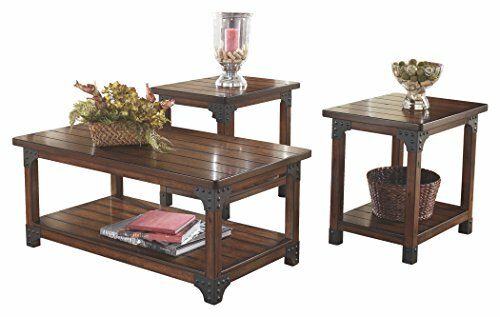 These were some of the best coffee table sets that you can easily find on the market. Choose the best ones and make your apartment better looking.